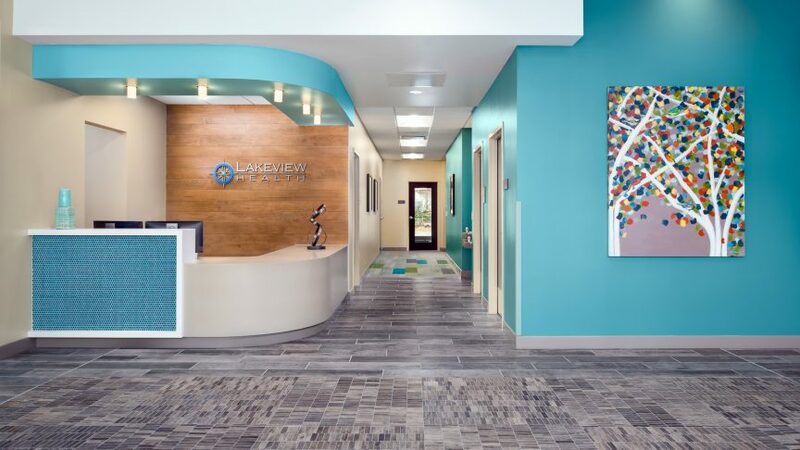 In their efforts to expand nationally, Lakeview Health opened its first outpatient facility outside of Jacksonville, FL. 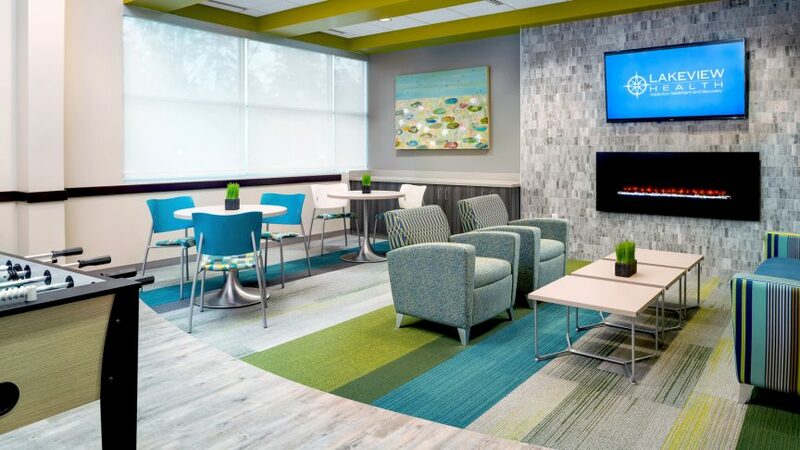 Serving the fast-growing area surrounding The Woodlands and North Houston, the center provides day and night treatment options for both men and women, and includes seven group therapy rooms, a dining room, art therapy space, a day room, a library, and a psychotherapy classroom. 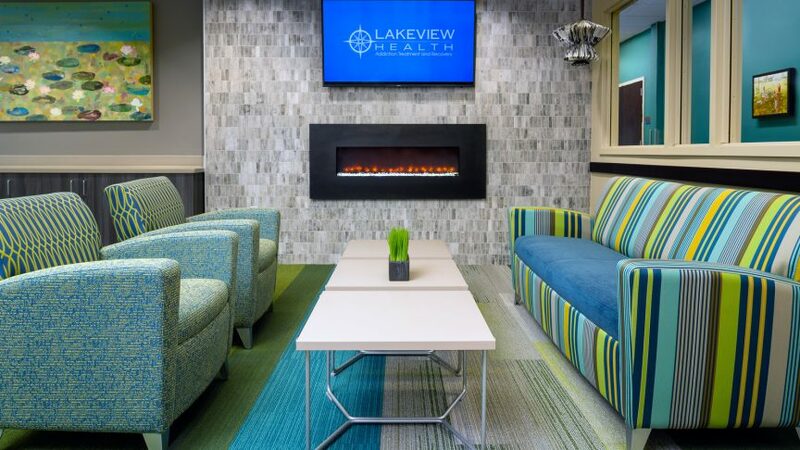 The project successfully met scheduling constraints, which allowed only eight months for Lakeview to find, select, and negotiate a lease for the tenant space, complete design, and build the project. In conjunction with these challenges, Hurricane Harvey hit Houston during construction which led to some delays and additional costs to the project. Nonetheless, construction was complete on time by the end of the year. 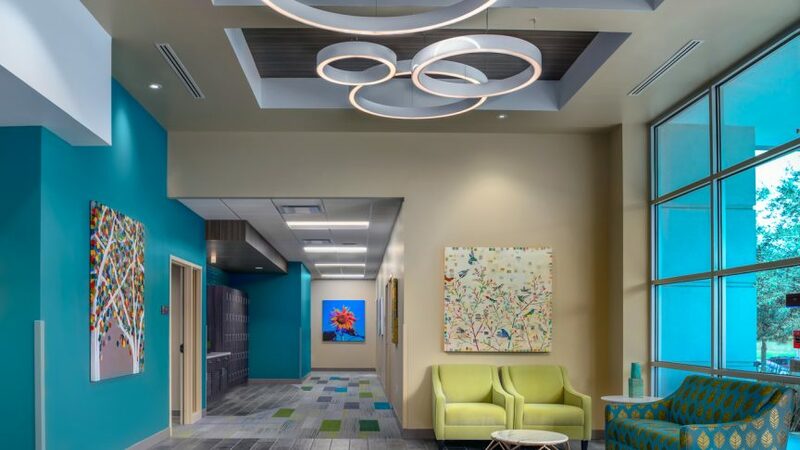 The interior furnishes are bright and saturated, providing a balanced contrast with neutral grey and light-toned woods used in furniture and accents. 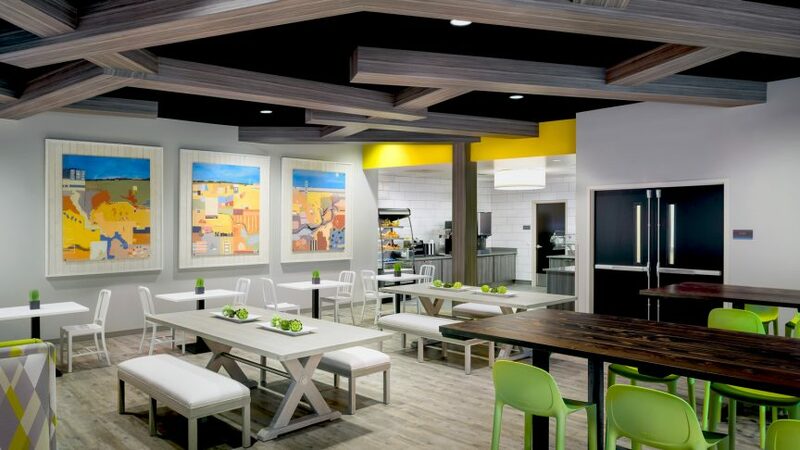 The dining room features an abstract overhead structure inspired by tree canopies in adjacent areas, bringing a hint of nature inside in a modern way.